Some people mark the passing of the year by the holidays or their birthdays. Me? I seem to mark it by the arrival of Austin Fashion Week. I can't believe it's already that time of year again! Shortly after I started Adored Austin, I attended and covered the very first Austin Fashion Week for my humble fashion based blog, and it has been a trip watching AFW grow, mature, and evolve over the last six years. We were babies together, and every time AFW rolls around, it reminds me that Adored Austin has been here for another year. I've changed this space a lot since it's inception and write less about style and local fashion happenings (I write less, in general), but nonetheless, I love being a part of the AFW festivities and adore seeing my city's most stylish residents out in all their finery. I'll be at the Austin Fashion Awards Show Finale on Saturday, because it's always my favorite thing to attend. Surprisingly, I've been nominated for one of the Trailblazer Awards along with nine incredible individuals who are truly and earnestly (and legitimately!) cornerstones in the Austin fashion world. I feel like the awkward fourth grader amongst the cool high school seniors, being named as one of the finalists. Nonetheless, it's a genuine honor to be named among people like Eve Nicols of UT, Elizabeth Gibson of Eliza Page, Linda Asaf, and Stephanie O'Neill of Estilo. Although Adored Austin was one of the earliest local blogs doing outfit of the day photos, street style photography, and maintaining a calendar of fashion and shopping events, I'm most proud of what I've accomplished in this city via Texas Style Council. In 2009, I threw the first TxSC event during SXSW and in five years have since cultivated it from a small brunch to a full blown three day fashion and style-centered social media conference boasting 400 annual attendees from around the globe. I know! It's unbelievable to me, too! It's sincerely an honor to be recognized for my work. My absolute favorite thing about doing Adored Austin and Texas Style Council is taking online connections and turning them into deeper offline connections, through mentorships, friendships, and partnerships. People like Elizabeth and Stephanie (above) were a couple of the earliest sponsors of the Texas Style Council in its very first year and supported my local blogging efforts when Adored Austin was just starting out. I am so grateful for the local fashion community and I admire anyone who can create and curate such beautiful things so people like me can consume and share them with others. Austin Fashion Week will always be one of my favorite local happenings. Oh, gush! I could go on, but I'll save some for Monday, when I do my AFW recap post. 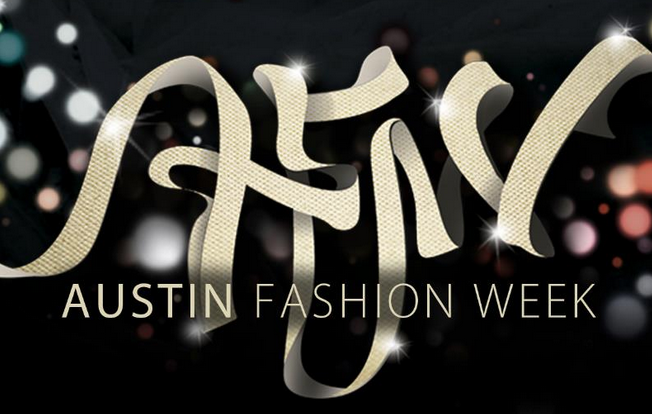 Be sure to check out the entire Austin Fashion Week schedule here. If you'll be at the Awards Show, let's sit together, mmmmkay? Now if only I weren't in a conundrum about what to wear! It's a red carpet event with an after party. Yikes! I'll be there, but I'm not sure what to clad my post-pregnancy body and feet into. I've got a few days to figure it out, though!